customization solutions, wide range of materials, fabrics and finishes and short lead-time collection provides you all the elements that you need for a winning project. 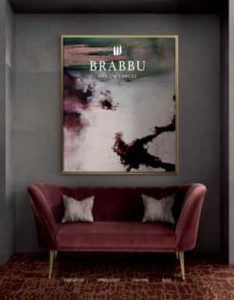 BRABBU is present at the world’s most renowned design events with new versatile design products for eclectic environments that foresee the next trends. Handcraft in Europe and sold worldwide, we are the choice for the most remarkable high-end residential and hospitality projects throughout the world. NEED MORE BRABBU INFORMATION ?